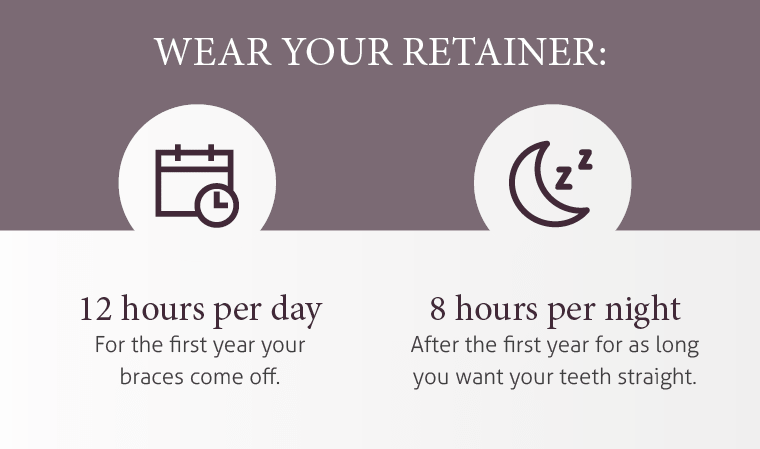 Why Should You Wear Your Retainer? Protect Your Teeth & Investment! 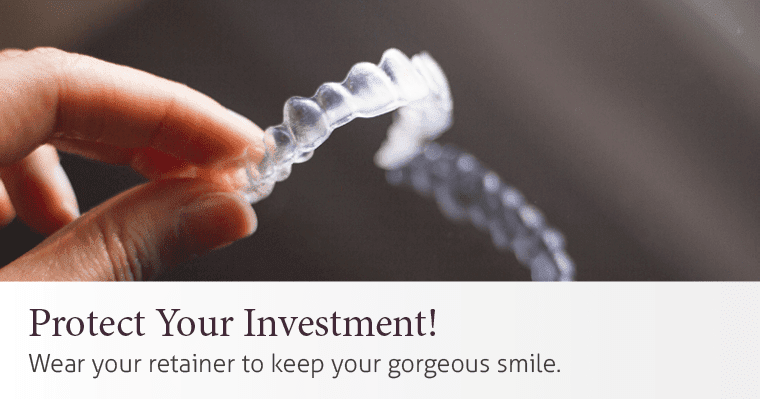 Retainers protect your investment. If you want to keep your gorgeous smile, you must wear your retainer every day, especially for the first year after braces come off. When a dentist removes your braces, your smile will want to move back to its original position. To prevent teeth from moving and settling into their new position, a retainer must be worn consistently long term. It’s also important to keep up with your retention appointments with your dentist – be sure to bring your retainer! This allows your dentist to check your retainer and smile to ensure your teeth haven’t shifted out of place. He or she can make adjustments to your retainer if necessary. Wear your retainer faithfully! Your teeth will relapse. It’s important to us you love your smile for life, and a retainer is the best solution to keep your new smile and investment. Be sure you schedule your retention appointments with your dentist and keep your teeth retained.